What a fun way to mark the season: bite-size cakes in the shape of mini acorns, pinecones, pumpkins and nuts. I'd fill them with dulce de leche, chocolate ganache and Nutella. 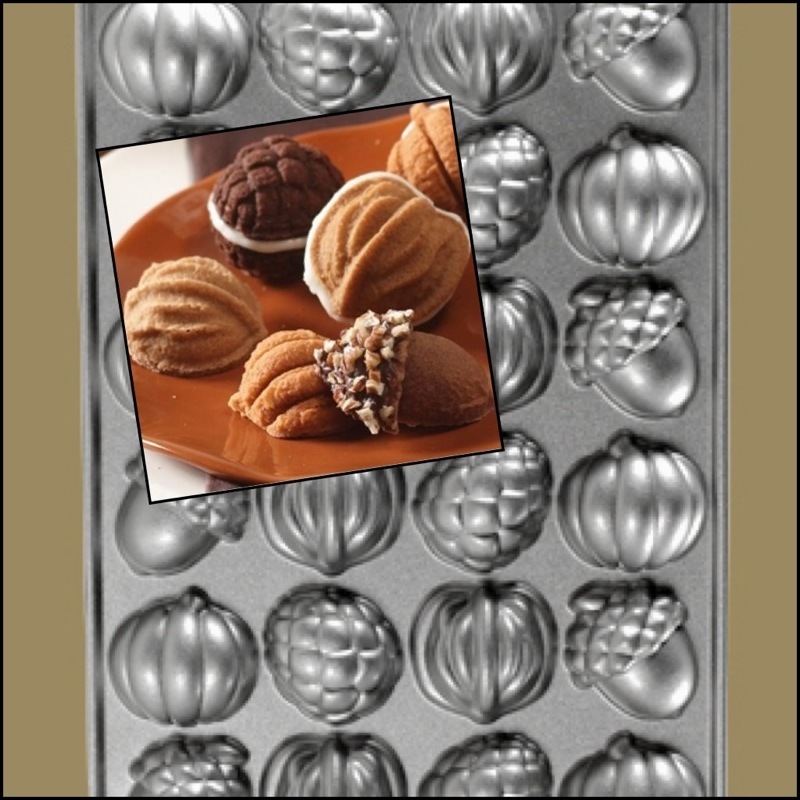 This Nordicware cakelet pan looks like the ideal gadget for creating tasty treats. 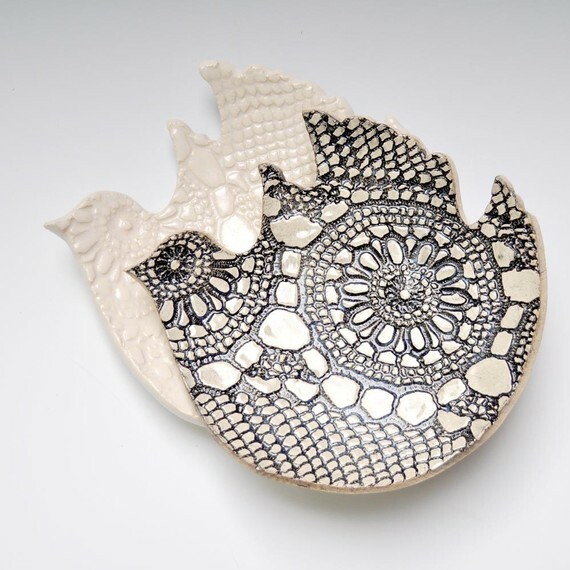 These whimsical OneClayBead plates are perfect for mini cakes. 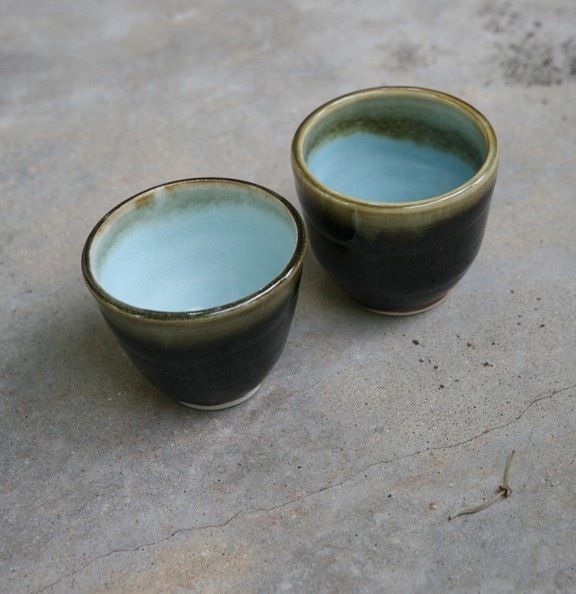 ...and pour into these porcelain Ceramicpix cups. 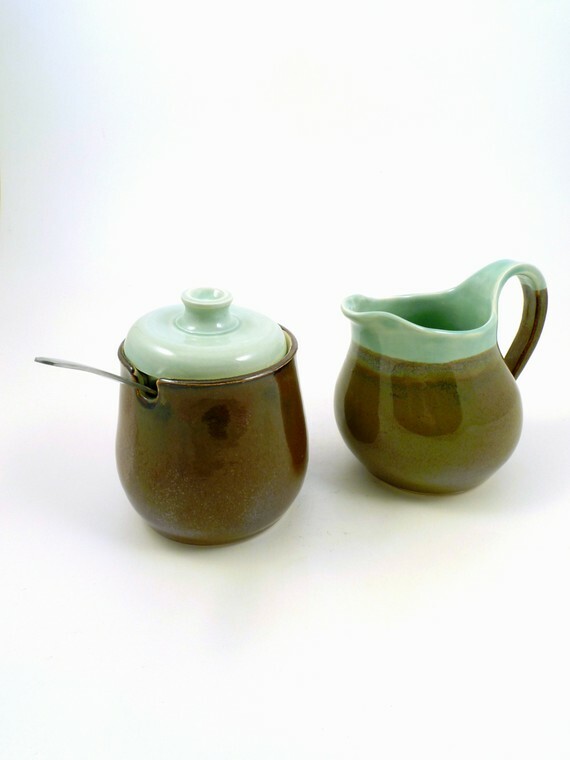 Anyone needing a spot of sugar or cream would find it in this handmade set by Devanie Pfitzinger Schilpp. What are you planning for your next intimate get-together? Bring to a boil. 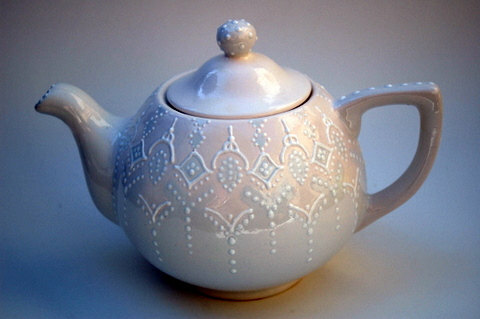 Strain and serve, adding sugar or honey and cream to taste.